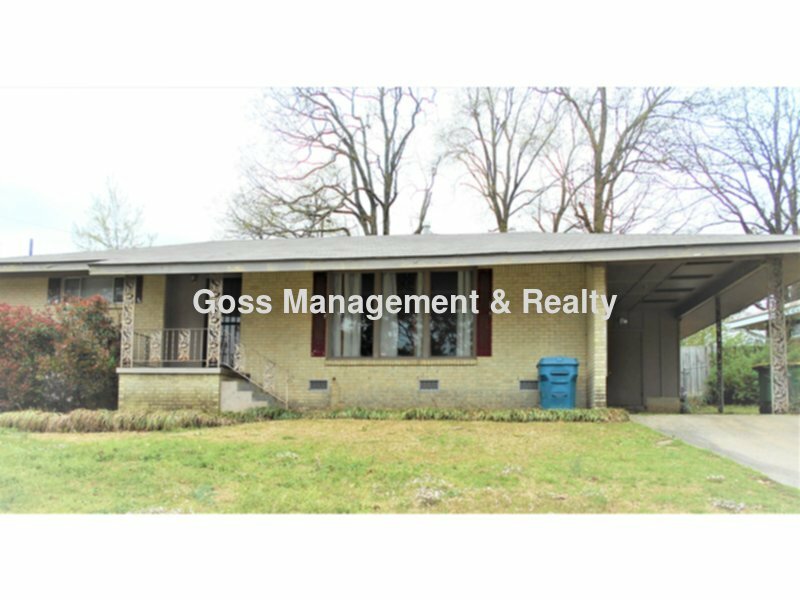 Residential Rental Listing 2 bed 1 bath in Little Rock, AR. Two Bedroom With Bonus Room! two bedroom with bonus room! COMING SOON !This charming property is close to UALR and has 2 bedrooms and a bonus room that could be used as an office . There is carpet in the livingroom /dinning room area with hardwood floor throughout the remainder of the house. The kitchen comes equipped with gas stove and refrigerator. There is a large pantry storage . There is ceiling fans , window coverings, washer and dryer connections. There is a single carport, large fenced yard ,storage building and rear deck. The house is equipped with an alarm system that tenant can activate. Tenant pays for water, gas, electric and its responsible for yard care.